La Masuca is a house located in Penelles, near the Pla d'Urgell. Farmhouse built in 1890 and renovated in 2005 to give comfort. Attic reading room with TV and DVD player and the possibility of two beds. Terrace with stairs to the garden. Patio 500 m2. closed walls. 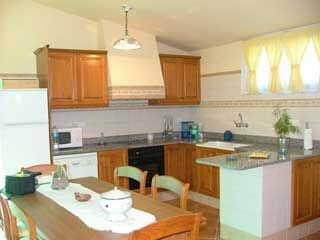 Barbecue, swimming pool, tennis bowling, arbor, grass and trees, while the patio is equipped with night lighting.